If you’ve flipped through the latest fashion mags, then you know that it’s all about the collar. I’m obsessed! 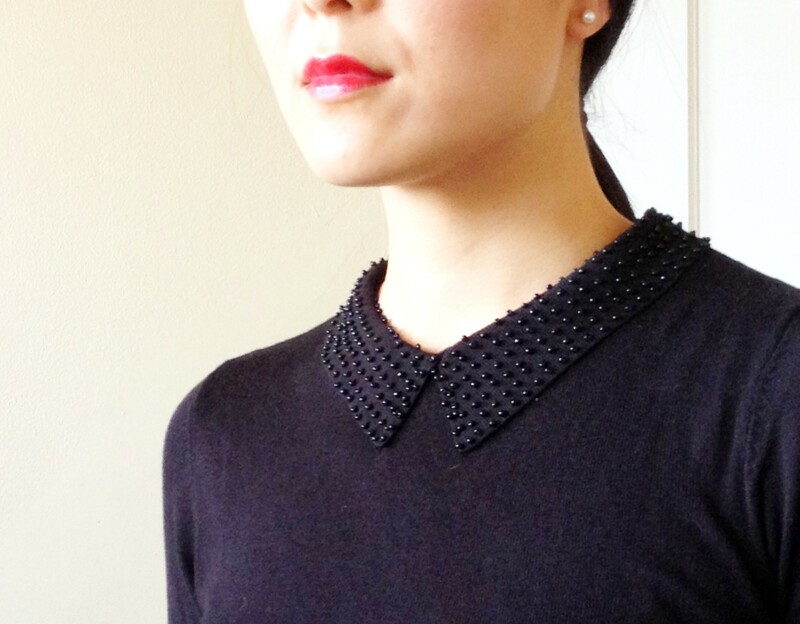 These whimsy plays off the adorable Peter Pan collar make me happy, thus the title! Whether it’s in the form of a necklace, a knit shirt, or a button down, I love ’em all. Mix and match ’em up to your heart’s delight! Here’s one that I found at my local H&M with subtle black beads that sparkle in the light. Eeee! Collar me happy! P.S. Don’t be shy! Go ahead and ‘like’ the post if you like it…or ‘comment’ if you have comment.